Better Call Saul is nearing the end of its third season, but what about a fourth? Recently, co-creator Peter Gould spoke with Uproxx about the future of the AMC TV series. 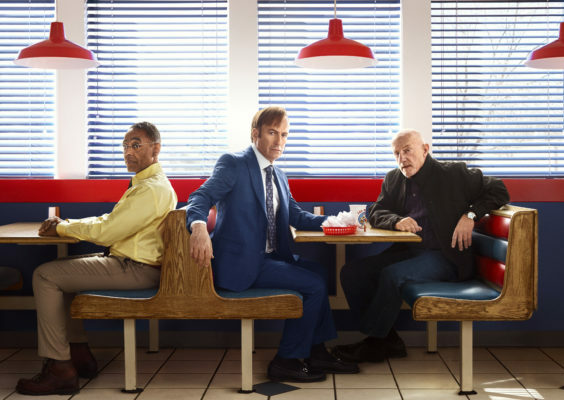 A spin-off of Breaking Bad, the comedy-drama follows Jimmy McGill (Bob Odenkirk), a down-on-his-luck lawyer trying to negotiate the ethical dilemmas of the legal world, emerge from his older brother’s shadow, and make a name for himself. The cast also includes Jonathan Banks, Michael McKean, Patrick Fabian, Rhea Seehorn, Michael Mando, and Giancarlo Esposito. What do you think? Are you a fan of Better Call Saul? How many more seasons do you want? Please More Saul. Take it into the Breaking Bad era so that we know what Saul is up to when not helping Mr White. I love this show! I believe that most people can’t appreciate the value of this story. I really would like at least a fourth season to wind this up. Let us know what happens to Gene in Omaha. We need closure! My family are very loyal fans, and we would be very disappointed with AMC if they don’t give the show a fourth season to either wind up the story, or pitch forward to a sequel showing how in the future Jimmy finds a way to rise above working at Cinnabon and make another new life. That would be so great. This is my favourite show. The writing is amazing and the actors are real and solid. Yes please, renew this wonderful series. LOVE “Better Call Saul” the seasons aren’t near long enough & absolutely there should be at least several more seasons! AMC doesn’t have an enough good series and certainly cannot afford enough to lose this one! All the characters are great and I really enjoy watching the show.Please renew. We need at least one more season to tie up all the lose ends and bring it to a proper conclusion. I didn’t even watch the first season because I didn’t think I would like it, but later I did, and I became addicted to the show. I wouldn’t mind if you went 10 or 15 more seasons. I am a big fan now! Please don’t stop too soon.